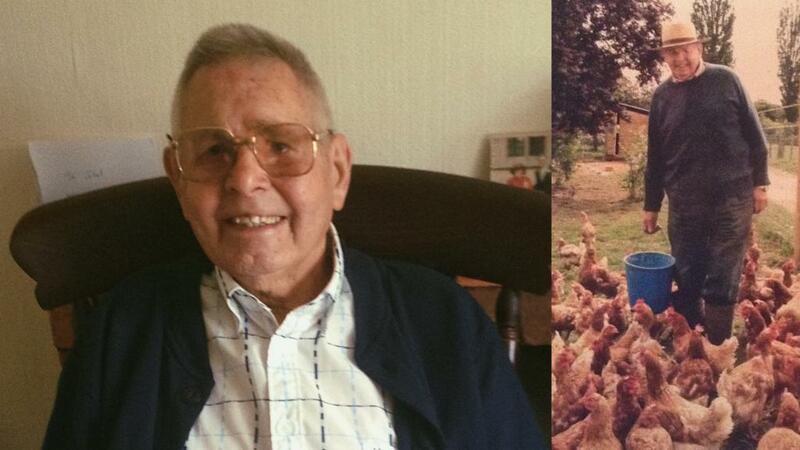 Selby Harwood, 90, tells us why he wouldn’t change his life in farming for anything, but perhaps would have done a couple of things differently. Here is his personal perspective on almost a century in agriculture, farming at Roundhill farm, Buckinghamshire. “I grew up on a farm – the one my Grandfather purchased and my father then passed it down to me. “My Grandfather, he always wanted to be a farmer. With just a pony he worked as a courier for the local village and started milking in London. He ended up owning his own bakery and the farm. "A bit of local entrepreneur he was. “I can remember there was no water or electric when I was growing up. We had to get the water from the well down in the village to water the cows. “I’d go as far to say I think farming chose me. I was just brought up that way. “It was natural for me to take over in about 1942, due to age. There wasn’t the sort of opportunities there are today and anyway, I wasn’t interested in mechanical things. “I’ve always loved animal welfare and taking care of the livestock. “You can get such pleasure from having healthy stock and draw strength from the problems you encounter. “I remember the worst times in my farming life, like the drought in the 1970’s. It didn’t affect everyone because some of the bigger farms had silos to keep their early crop of silage, but to us, small farmers, that was inaccessible because we just didn’t have the machines. “Small farms were selling their stock because they didn’t have enough to feed the animals over the winter. The price of animals halved. “It even became so bad that some farmers were taking their stock to the market and simply leaving them. “I couldn’t even get one pound for my calf. “I would normally have harvested 4000 bales of hay for winter but that year, we only had 1400. “Good practice would have been to keep a reserve for a bad year like that, but working at full capacity and farming on a shoe string meant there wasn’t a reserve. “A wet winter switched to a very hot summer which caused the problem. We could have harvested the grass, but held out a little longer than we should have done. We could have sold the milking herd and cattle earlier and got a decent price for them however we waited too long and had to feed them over winter. “Yet from that, I grew to understand that to best look after animals (and my family), I had to lead with logic as well as my heart. The problem was that there was an imbalance - I felt too much for the animals and didn’t have the heart to sell them for a low price because, well, we all deserved better. “That’s not to say I no longer used my heart for making decisions, rather I understood better that logic is sometimes just as important. “The fact is, sometimes you have to get rid of things. “I was ruled a little too much by the love for animals and it clouded my judgement. It’s very hard when you have lovely animals that have produced lovely calves. They’ve been good to you, but you have to bite the bullet. “I guess you could say I’m a little more hard hearted now! “If I could give my younger farming self some advice, it would be to start with a great base, wife and family - they’re the most important thing. "Financially: only have what you can afford. “Whether that be religion or positivity, we certainly survived because of it. “It is remarkable though how farming production has increased. “I’m not entirely sure of the methods and I feel the personal touch and the human relationships with the animals is diminishing. “Machinery has changed significantly. Years ago, farming was very, very manual, and very hard work. “Everybody had the same problems though. “I feel proud to say that me and my wonderful wife are still here living on the farm, and it’s still in full flow despite my retirement. “I’m so proud of my daughter Sarah’s achievements. We never had money to page wages, but Sarah does everything for the love of the land and the animals - that’s the only reason she’s still here doing it. “I love the fact that in farming, every year is completely new. There’s new growth. You watch things get stronger and nurture your animals and your crops in to the world.